What to do when you have seen the Christmas markets? The Christmas fairs are great fun, but maybe not the only thing you want to see while you are in Budapest in winter. Don’t worry, there’s plenty to do in Budapest in the colder months as well. Let us show you our 10 favourite activities! 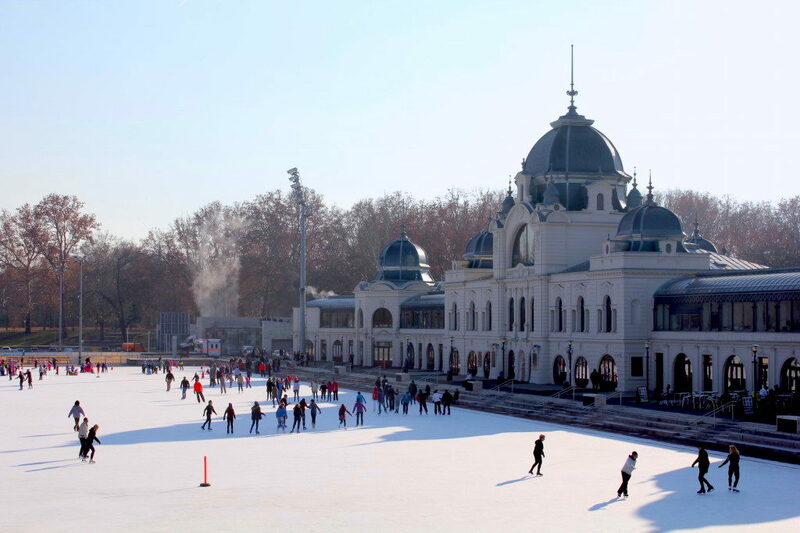 The ice skating rink in the City Park (Városliget) is one of the biggest ones in Europe, and it is in the most beautiful setting ever. Even the main building where you rent the skates and buy the ticket is a real piece of art! Honestly when I first saw the famous rink at Rockefeller Center in New York I was super disappointed, since I had so high standards coming from Budapest. Read more about it in our post! After skating or walking for a few hours there is nothing better than soak in hot thermal water. The famous Széchenyi Baths are just five minutes away from the rink, but you can also visit one of the many baths on the Buda side. They all have their special atmosphere and we love them all, so don’t ask for our favourite! Just try as many as possible. Some have only indoor pools, but it’s also great to sit outside in the steaming hot water when it’s freezing around you. Even in the snow! Just don’t forget to bring flip-flops. Budapest is a city with many natural wonders, including all types of caves, and the good news is that the temperature is the same in them all year round (10-12°C or 50-54°F). There are more than two hundred (!) known caves under the Buda side, which really makes us the capital of caves. 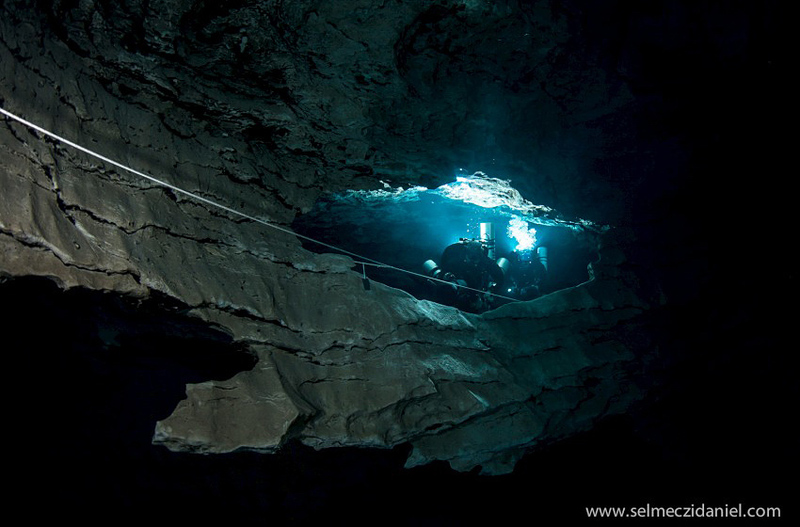 There is even one, the Molnár János cave, filled with thermal water! Only certified divers can visit it, but for them it is a must do, because it is a truly magical experience to swim underground in the crystal clear blue water. There is a great option for people who prefer to stay dry as well: for the brave we recommend the Adventure Caving, and for the less bold there is the easier Cave Walk. 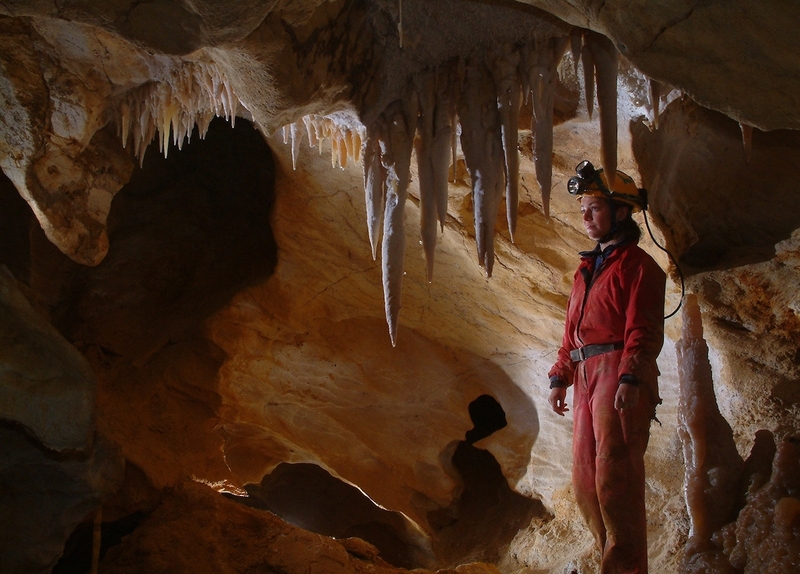 Find all the necessary information in the links – and if you don’t want to bother with the details just ask us to include caving in your private tour. Cold weather can never stop sightseeing! During our winter tours we always make sure to pop in a cute café every now and then and order a winter staple drink. Our number one choice is mulled wine, usually prepared of red wine and spices that will make you feel like it’s Christmas every day. The non-alcoholic favourite is a thick hot chocolate, or you can just simply choose a nice tea or coffee. 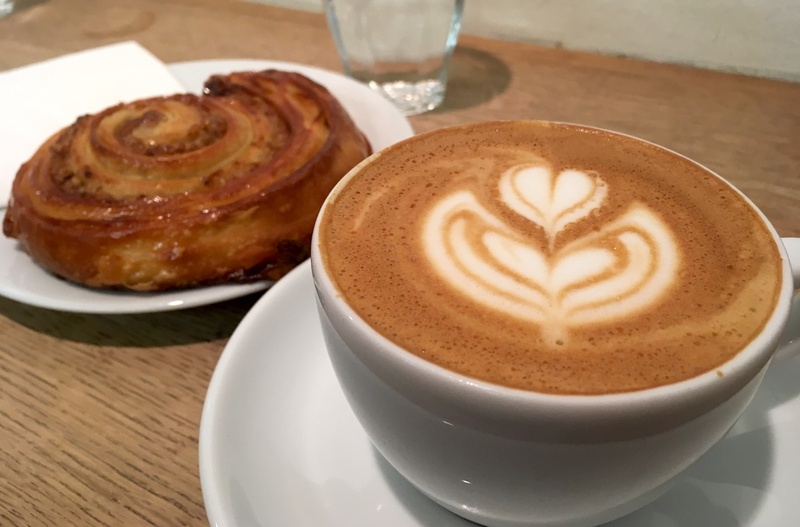 The specialty cafés usually stock great quality chocolate as well, see our favourites in this post. Or visit them on our Coffee Tour! Hungarians love their soups! 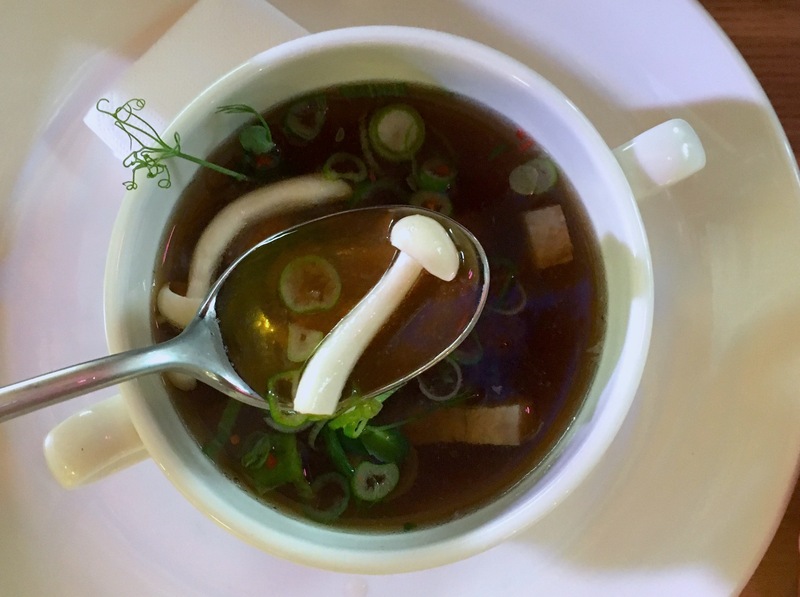 Probably because most of the population couldn’t afford luxurious meals for centuries, soups were always a good choice to prepare something filling but cheap. In summer we often choose something lighter, maybe even a cold fruit soup, but in winter we thrive on the hearty favourites like Goulash soup (or gulyás as we write it), the Jókai bean soup, the Fisherman’s soup (halászlé) with loads of paprika in it, or the cream soups made of different vegetables like butternut squash. There’s no lunch without them! You can also find many hole-in-the-wall type places where they serve soup in a paper cup. It warms up your hands and your soul! If you don’t know where to start in Hungarian cuisine, just book a Food Tour with us and leave with tons of great tips – and a full belly. 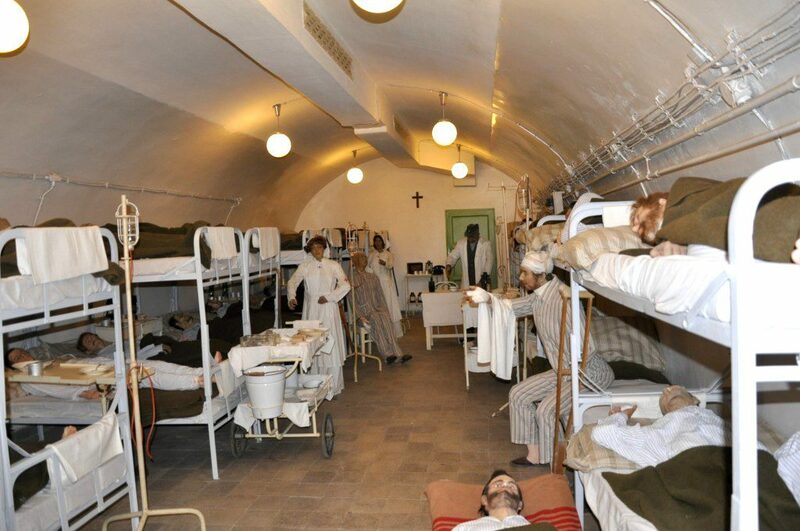 One of the most interesting museums of Budapest, the Hospital in the Rock, is located underground, and it is connected to the cave system of the Buda castle area. The Red Cross used it as a secret hospital during WWII and the 1956 revolution, and thousands of patients found shelter here. The exhibition shows the difficult conditions and the extraordinary work that the doctors and nurses did here. It is an absolute must-see experience for anybody interested in the 20th century history, and it definitely makes you thankful for what you have. 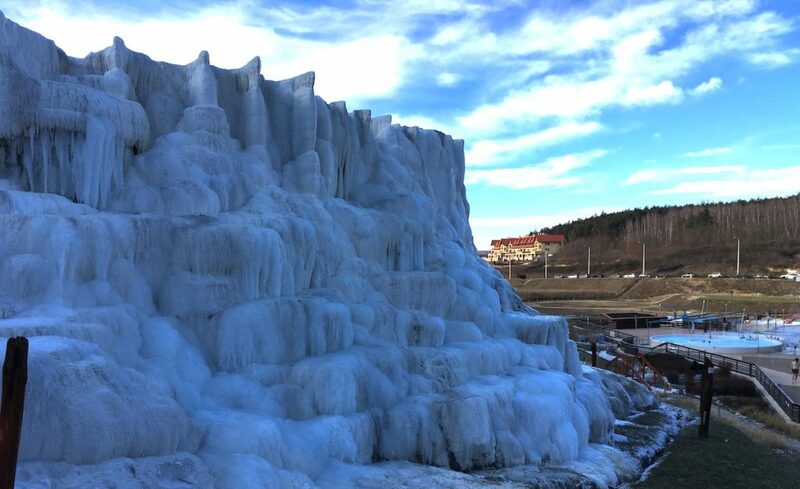 Being situated inside the hill it has a natural insulation and the temperature is around 15°C (59°F) even in winter. Even when snow melts in the city there is a bigger chance to find a white scenery in the hills of Buda. 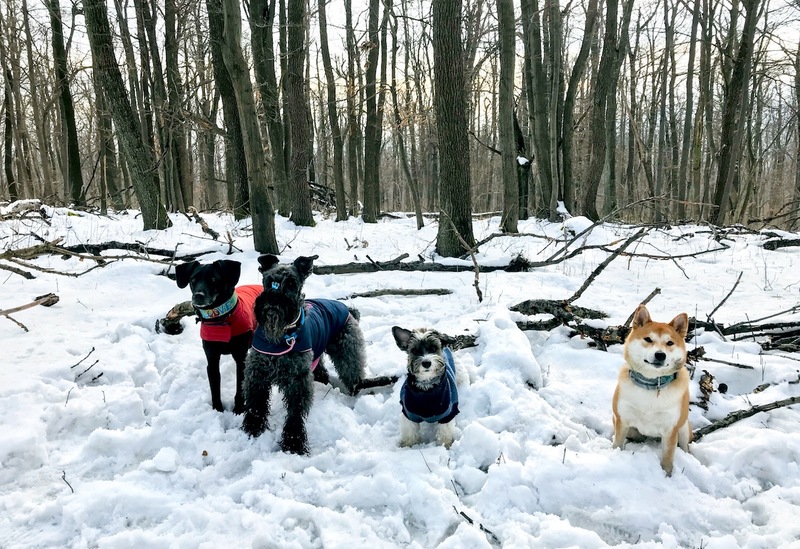 Normafa is one of the most popular spots where locals go out to enjoy snow, they bring their sleds and their super cute dogs, and when they get hungry on the fresh air they devour a strudel (rétes) or a lángos at the Normafa Rétes Büfé. 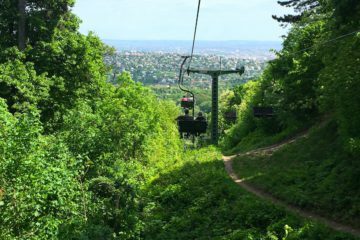 The children’s railway and the chairlift are also running all year round, both are great fun! If you want to make sure there is snow up there before heading out use our secret method: check the latest posts on Instagram. You can get here by taking bus 21 from Széll Kálmán square. Budapest has amazing rooftop bars with breathtaking views, and luckily some are open all year round! 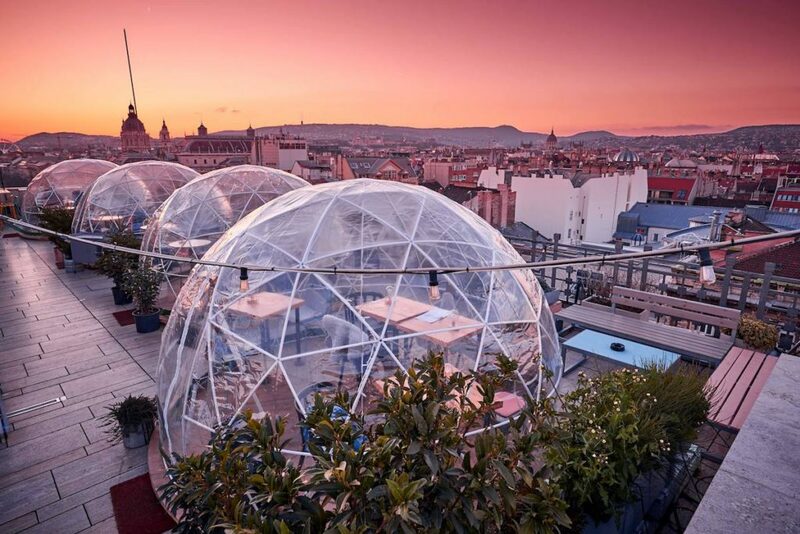 One of the most special ones might be the 360 bar, as they installed transparent igloos just above Andrássy avenue. We also love the High Note SkyBar on top of Aria Hotel, right now their theme is “The Forest”, and it is reflected on all their plates. 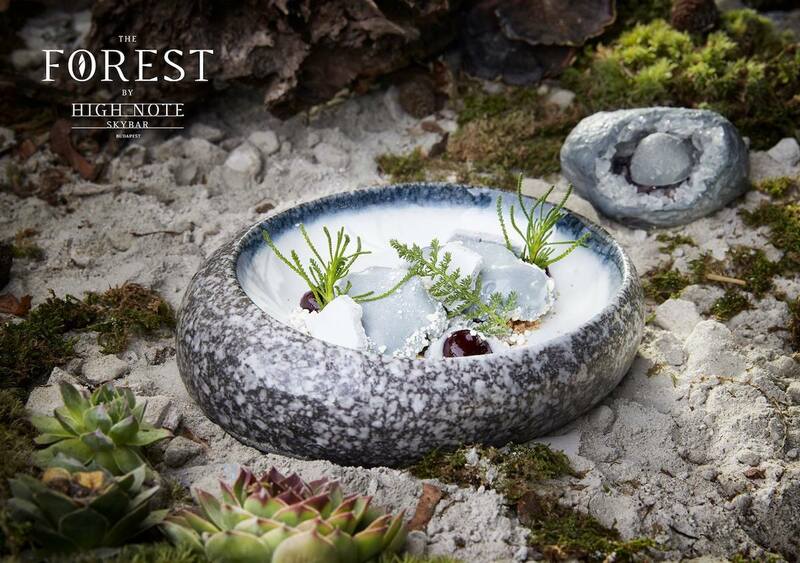 They serve exquisite cocktails, and we are huge fans of the pastry chef Szabó Zsuzsanna for her creativity. It is a high end place, but the prices are not too crazy, the dessert plates for example are around 6-7 euros. You can also take the most magnificent photos of the Saint Stephen’s Basilica from here. Reservation is highly recommended. Whatever is your style, you will find great concerts in Budapest all year round. Classical music comes in great quality for very reasonable prices compared to the rest of the world, tickets usually start around 8-10 euros. The Palace of Arts has a wonderful and ever changing programme, just like the Franz Liszt Music Academy. 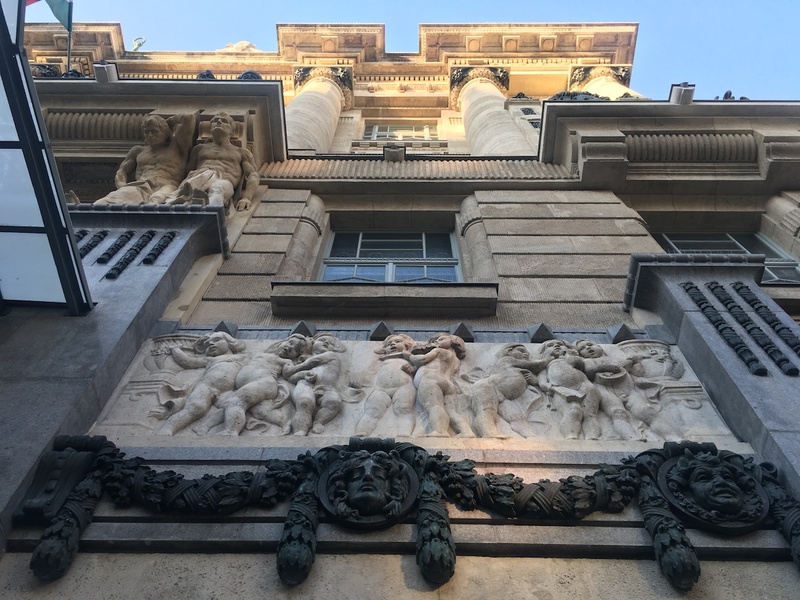 They are a must for architecture lovers as well, the first one is a modern gem, while the Academy is an Art Nouveau masterpiece. If you are into Jazz we recommend the Budapest Jazz Club in the artsy 13th district. There is live music every night at Lámpás as well, a cozy underground bar in the Jewish district. Jedermann Café also has live jazz a few times a week normally, and it is really off the beaten path where local artists like to hang out as well. For the more popular genres like rock or electronic music our favourite venue is A38. 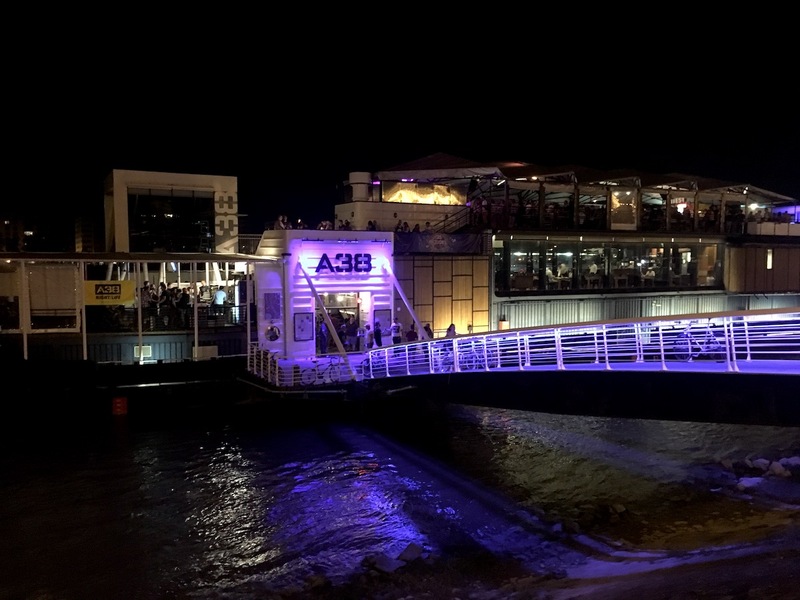 Not only their selection of bands is great, but the location is quite special as well: the A38 was a Ukrainian stone-carrier ship before it went through a great transformation and ended up on the Danube. We always encourage you to leave Budapest and discover the countryside as well, because the capital is never the true representation of an entire country. We have great options all year round! One of the many possibilities is to take a wine tour. Don’t worry, the wine cellars have a pleasant temperature all year round, and the wine will warm you up anyway. If you are lucky you can even see the vineyards under the snow. It is such a picturesque scenery! The countryside in winter is the most tranquil place to be, hence it’s perfect for nature lovers and those who like to avoid crowds. If you happen to visit around Mardi Gras you should see the Busójárás, the Hungarian version of carnival. In 2019 this is the 28th February – 5th March. 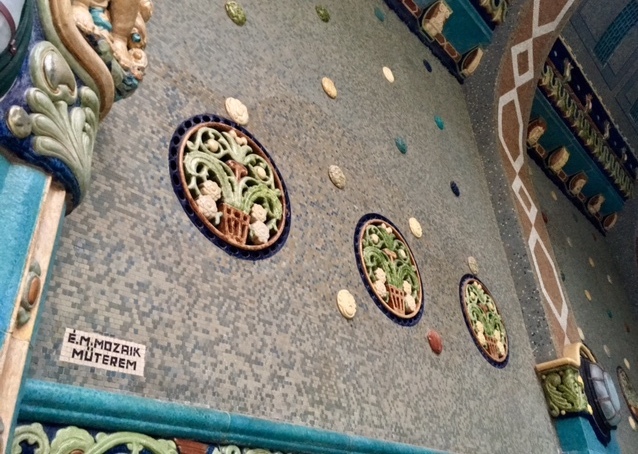 Plus you can always add a stop at one of the many thermal baths we have around Hungary. The most special places? Hévíz with a huge thermal lake and Egerszalók with natural salt hills. Do you need more ideas? 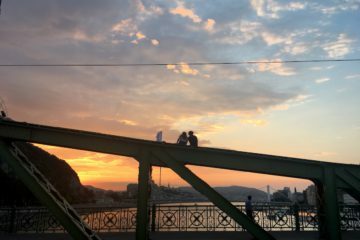 Here we wrote about our favourite day trips in Hungary. So are you ready to visit Hungary in the winter? No matter what season you choose, it is going to be fantastic! 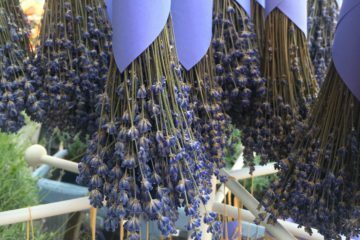 For our guide to weather and activities throughout the year check out this post. We hope to see you soon!